The educational journey of Vaibhav Kumar Pancholi started from a very small village at Panchayat level where he got his primary education in a very natural, placid and pure environment that led him to become very sensible. He graduated from PSB Govt college Shahpura and further completed his P.G. and M.Phil. from JRNVU Udaipur. His professional journey started from MLVT, the first and only institute in Textile Engineering in North India but the actual beginning originated form ITM, Bhilwara where he got a perfect platform to groom and perform. ITM was promoted as Sangam University later. Vaibhav started his career as a language teacher but soon it was transformed into an Administrator. Later he got engaged into minstrel works and others. Since 2013 he accepted a new challenge in marketing and become head of his university team due to strong bonding in rural belt. One of the most exciting change came in his career when the honourable President of the institution Dr. BR Natarajan started a compulsory subject in Humanities for Technical and Management stream, he got a new birth and identification as a Humanities teacher rather than as an English teacher. Recently he joined as a teacher in a very small village that is even lacking in basics infrastructure including electricity, water, etc. He has been trying his best with those students who even cannot speak Hindi properly. 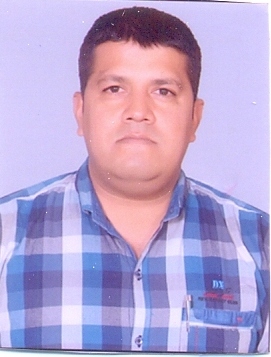 He has also been appointed as one of the Executive Council Members (ECM) of FSLE-India for its Rajasthan Region.